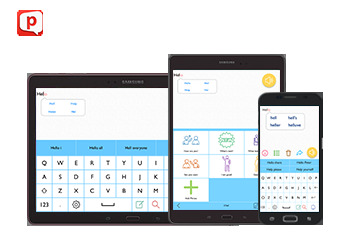 Designed specifically for teams who carry out assessments for clients who may need AAC. By ensuring you have all the latest kit for Android and apps ready to go, it gives teams the flexibility to complete thorough assessments with their clients. Now with 2 hours free set-up service, to ensure you have full use of all the apps, accessories and iDevices and are ready to go! For a quote, please see our quotes page.